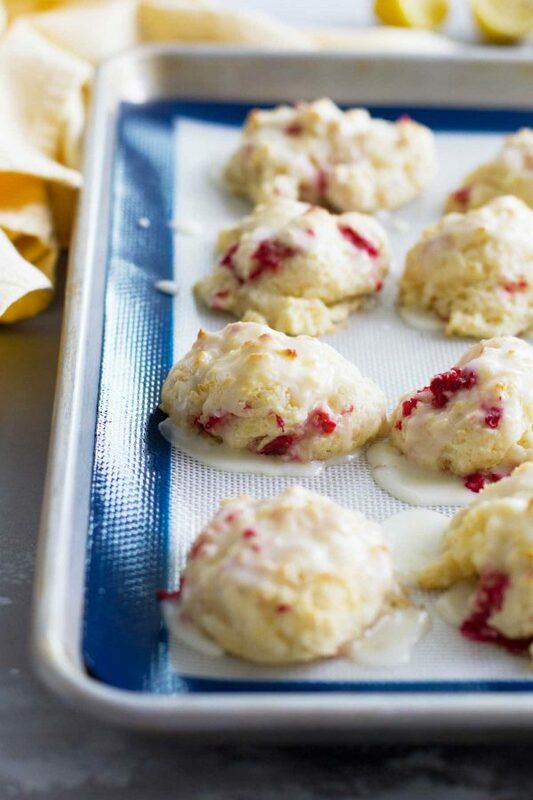 Studded with fresh raspberries, these Raspberry Lemon Breakfast Biscuits are moist and sweet and completely irresistible. A tangy lemon glaze turns them into a decadent breakfast treat. I stand behind everything on this blog. I’ve made it all, tested it all, tasted it all. I wouldn’t put it up if the recipe is no good. 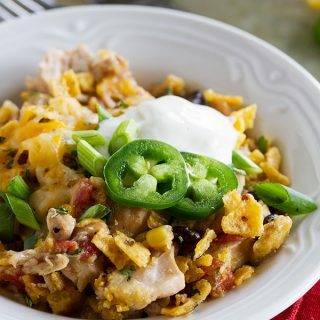 So when I say this recipe is one of my very favorite recipes here on Taste and Tell right now, you’d better believe that I’m telling the truth. They are seriously so good that my husband, one of my boys and I almost ate an entire batch in 24 hours. I have sworn that I won’t make them again because I can’t keep my hands off of them, but obviously I’ll be making these over and over. You all know that lemon is one of my very favorite flavors, so I already knew I’d love these breakfast biscuits. But adding fresh raspberries is just divine. 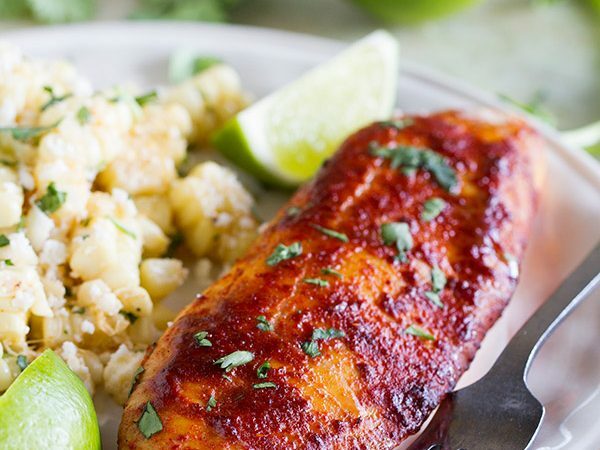 These are light and moist and full of flavor. Seriously – next time you need something special for breakfast or brunch, you won’t regret making these. There is one main rule whenever you make biscuits – do not overmix! You’ve probably heard this many times, but overmixing the batter will give you tough biscuits. And one of the most wonderful things about these breakfast biscuits is how tender they are. Since these are drop biscuits, it’s easier to resist the urge to stir and stir, but you still need to use caution. Especially since you stir the dough then have to stir in the raspberries. 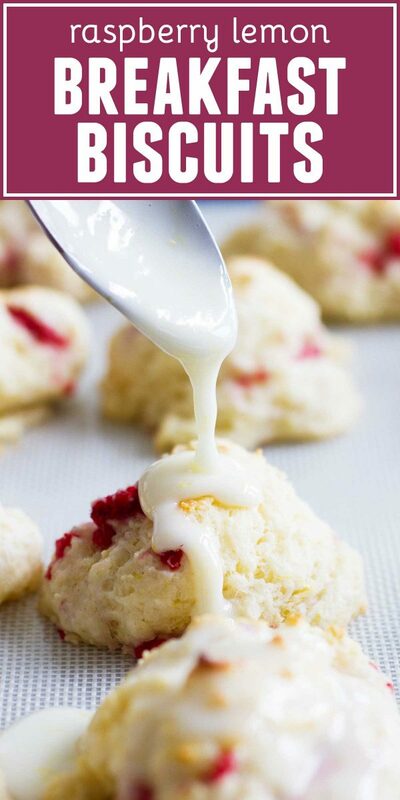 Use very cold butter – this is so that the butter can create pockets of steam, which are what make the biscuits light and tender. Do not open the oven while the biscuits are baking. If you want to check to see if they are finished, at least wait until close to the end of the bake time. Opening the oven can make it so that the biscuits do not rise. 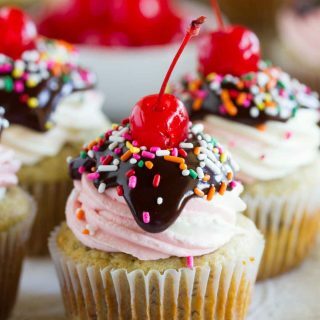 Do not over-bake! There is nothing worse than losing all of that moisture and flavor because you left them in the oven too long. 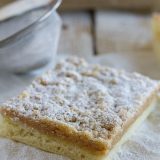 My favorite step in this recipe is to make the lemon sugar. This is as simple as combining the lemon zest and the sugar and using your fingers to rub the zest into the sugar. I learned this trick many years ago when making a party cake – and it is one tip that has stuck with me for years now. 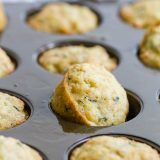 You are basically infusing the sugar with the lemon zest, and also releasing all of the lemon’s essential oils, which makes these biscuits that much more flavorful. Take that lemon sugar and combine it with the dry ingredients. Then stir in the buttermilk, and that is where all the magic starts! These biscuits are drop biscuits, which make them a lot faster and easier than traditional biscuits. 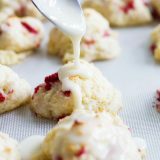 Instead of rolling out biscuit dough, you “drop” it onto the baking sheet. Because you aren’t rolling any dough, you can actually add less flour, which leads to more tender biscuits. 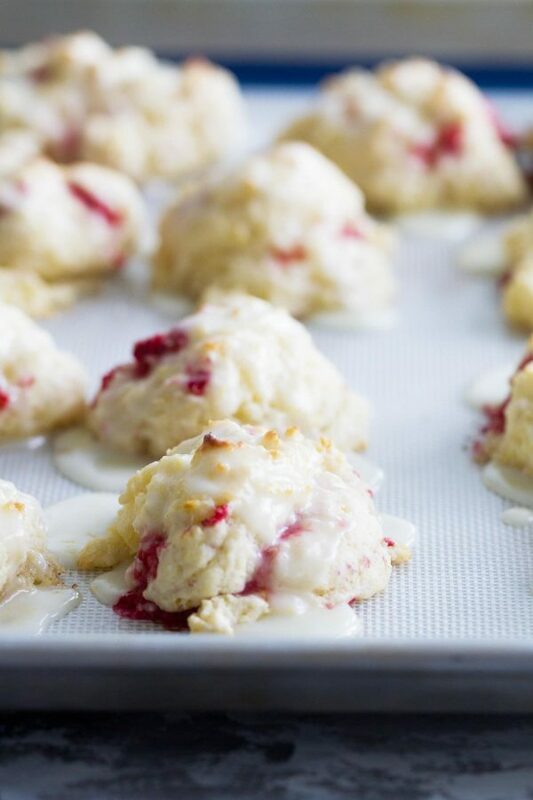 Bake the biscuits until golden brown, add the lemon glaze, and then enjoy! 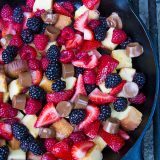 Looking for more sweet breakfast recipes? Preheat the oven to 450ºF. Line 2 baking sheets with parchment paper or silpat mats. In a large bowl, combine the sugar and the lemon zest. Using your fingers, rub the zest into the sugar until it is moist and fragrant. Add the flour, baking powder, cream of tartar, salt and baking soda into the sugar and whisk until combined. Cut the butter into small pieces and add to the mixture. Using a pastry blender or a fork, work the butter into the flour mixture until it resembles coarse crumbs. Make a well in the center of the mixture. Pour the buttermilk into the center. 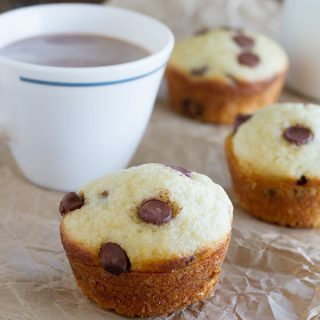 Using a fork, stir the milk into the mixture just until moistened. Add the raspberries and stir in gently, lightly crushing the raspberries to distribute evenly. Using a 2 tablespoon scoop, drop the dough onto the baking sheets, at least 1 inch apart, making about 18 biscuits. Bake in the preheated oven until lightly browned, about 10 minutes. Do not overbake. 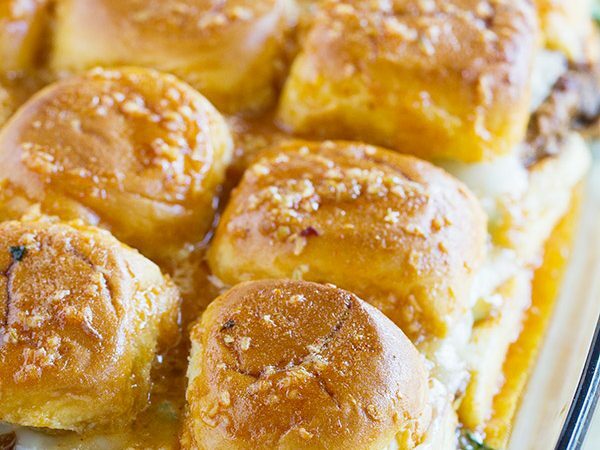 While the biscuits are baking, make the glaze. 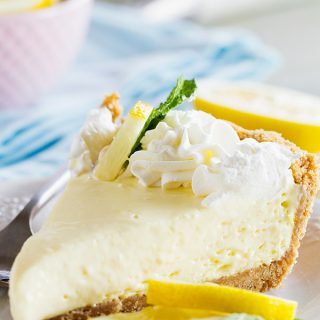 In a small bowl, combine the powdered sugar, lemon juice and lemon zest with a whisk until completely mixed and smooth. 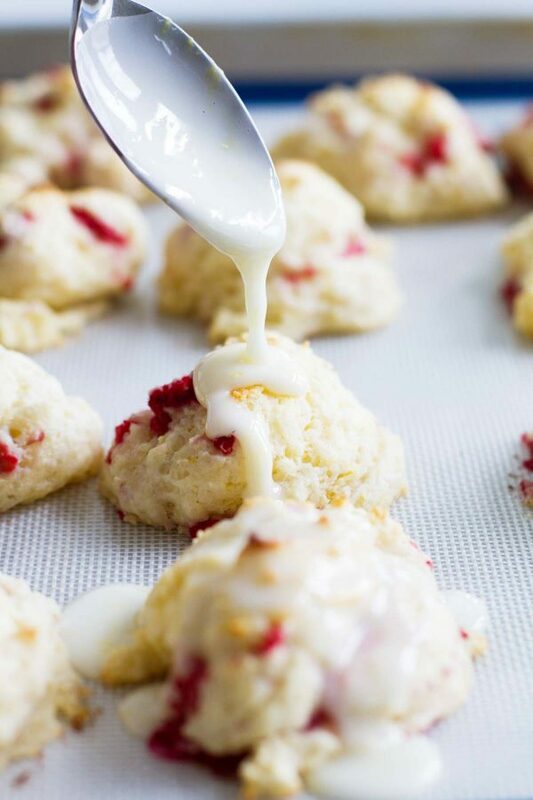 When the biscuits are done baking, let them sit for about 10 minutes before drizzling some of the glaze over each of the biscuits. Cool the biscuits and then serve. These biscuits look so delicious! 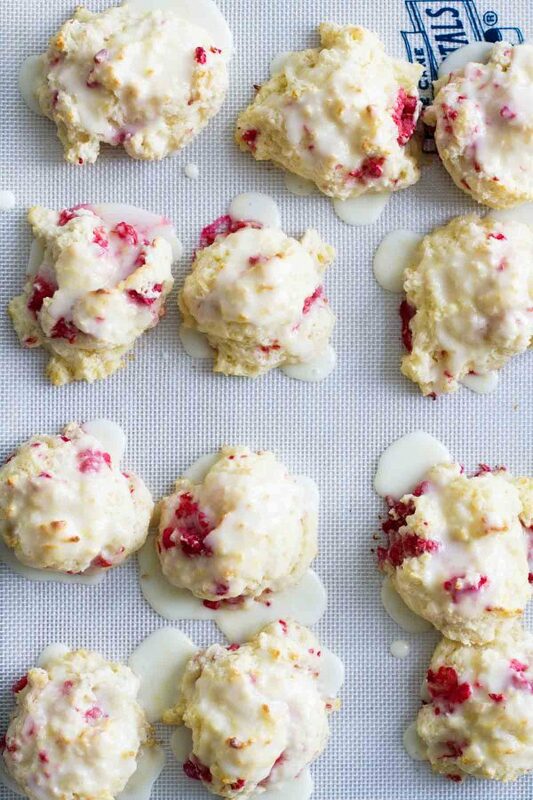 I love lemon and raspberry together – such a delicious combination!